The LeeSan Freshwater pump provides high volume water flow with reduced pump cycling, thanks to the quad chamber diaphragm and internal bypass. This unit is designed to run on water systems with no accumulator tank necessary. 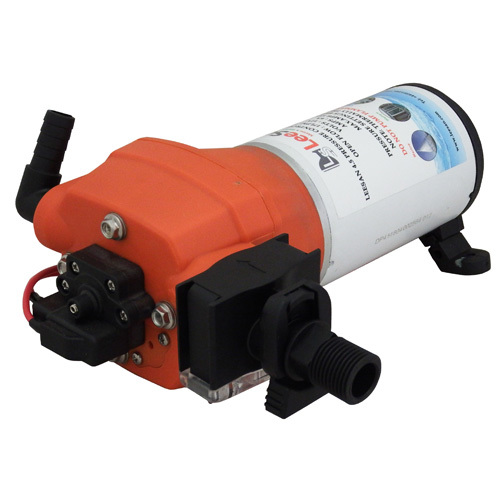 This pump provides up to 17lpm, 4.5 gallons per minute, suitable in a system with up to five outlets. The LeeSan Freshwater pump is self-priming, and can run dry without damage, performance reliable and low current. They are easy to install service and winterize with quick snap-in port fittings.